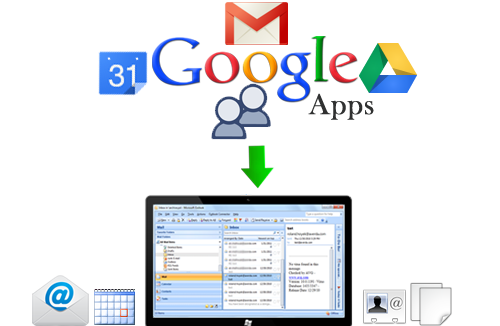 Using Gmail Backup tool offered by our hugely reputed & trustworthy software developing organization will let you create a substitute copy of your Gmail emails, contacts, calendars & documents and also chats. This way you can have a copy of your Gmail data so that even if the original one is out of your reach or inaccessible at the moment, you can access the backup and avail the data. You can even try the software without paying any investment which is one of the best things about the tool. Nevertheless, you can purchase the software later on and avail all the facilities of the software without any complications surfaced. To ensure that Gmail data (email, contacts, & calender) backup with absolute security is created, the software asks for the account login details, the username and password. This helps to checking out the availability account plus ascertains that backup is created with permission of the admin. Once the mails are saved from cloud to machine, users are facilitated to delete the emails directly from the Server. This can fulfill the security concern of the users plus helps in maintaining free space on server so that new data in the mailbox can be welcomed. For better sharing of calendars over the network, ICS is the most convenient option. Gmail calendars when saved in ICS file will allow users to share the meetings and schedules in verity of ICS readable applications like Thunderbird, Outlook, Mobile Phone etc. With this tool to create Gmail email backup, software gives the opportunity to backup Gmail messages in different way. User can convert emails to PST/MSG (Outlook), EML (Outlook Express) or MBOX format. Also, there is Email Filter option provided to the users for selective mails backup. With this innovative creation by our organization, users are allowed to backup crucial contacts of Gmail in vCard. The reason why VCF file is being chosen for safe guarding the contacts is its ability to be accessed in verity of application & mobile phones. The documents that are being shared within the account can be backed up with this utility. The solution will download and save the documents in their latest supportive file format. Example: Word documents will get saved as DOCX while Presentations as PPTX. Gmail backup tool is available both in trial as well as full purchase license. You can either try the software for free by backing up 100 emails items & 25 other items (contacts, calendar & documents) and convert Gmail to PST, MBOX, MSG and EML file format and save contacts into VCF format, calendars into ICS file format & documents in original file format which is the limit provided by the trial edition and later you can purchase the license to carry out restriction free backing up. 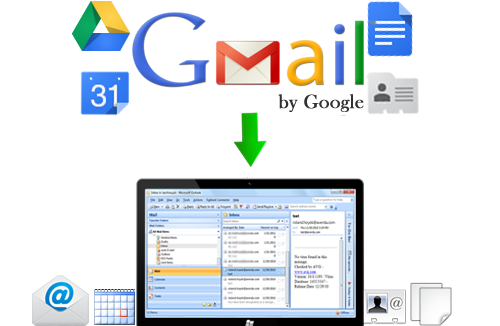 If you want to know how to make a backup of Google Apps services (emails, contacts, calendars, documents) from Google Apps domain account, then get Google Apps backup tool which is the finest solution that simply make a backup of Google Apps data and convert bulk Google Apps email to PST (Outlook) or EML (Outlook Express, Thunderbird), MBOX file format, Google Apps contacts to VCF (vCard) file format, Google Apps calendars to ICS file format, Google Apps documents to MS-Office file format. It is capable to export bulk items of Google Apps to a local hard drive.